Some thoughts about visualization, and links to resources, that I made during my participation in the Hazard Maps workshop held on 8th December 2016 in Edinburgh. We talked a little about rapid visualization in local government and (perhaps) emergency contexts. I work a fair bit with Rob Radburn from Leicestershire County Council. Rob is a 'Tableau Zen Guru' and works with Tableau as a kind of internal visualization consultant at LCC. Lots of his stuff is online, with examples of how nicely visualization can be achieved in Tableau through, for example the weekly Makeover Monday challenge. Remember - this is QUICK. There is quite a lot of work on understanding uncertainty and probability in visualization. There are a few things that my group does that could be interesting. Lisa asked specifically about our OD maps - in which we show flows between pairs of places using mini maps of destinations located at the origins on a larger map. This lets us see how the geography of destinations varies (sometimes gradually, sometimes abruptly) spatially - here's the paper. We used this technique to show how viewsheds vary in the Lake District (England, not Chile). These viewable areas associated with particular points vary in spatially related ways - opening up as you climb up the enclosed dales onto the fells for example. They relate to some of what Lisa was showing about landscapes 'opening up' as you walk. She did this very nicely in a linear way with her drawings. We have tried to do so in a discrete way that varies in two dimensions. Click the first image to see and example. We also use OD maps to show migration, commuting and other flows. 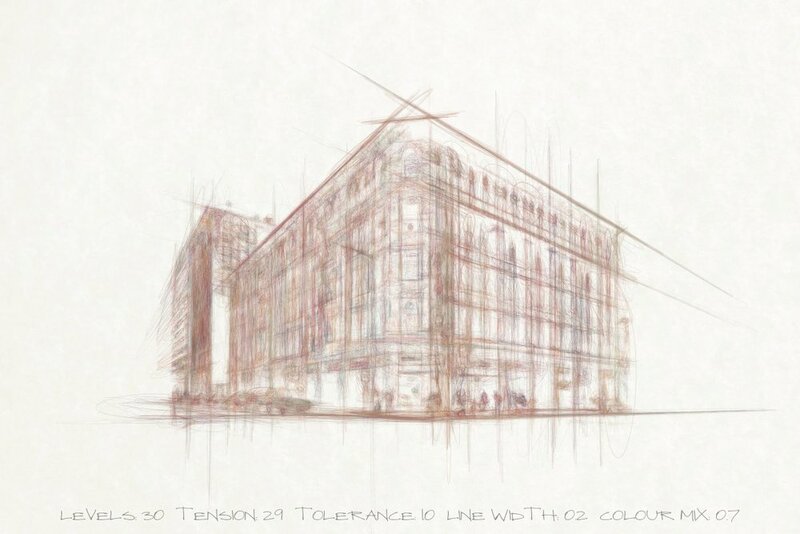 Jo has used the algorithm to generate sketches from digital photos - some of which look a little like architectural drawings - have a look! This includes author pre-prints of the 18 papers published in IEEE Transactions on Visualization and Computer Graphics in the last decade.